This Sissy Bar Bag is an easy way to add extra storage. High quality molded-leather construction holds its shape and is a convenient place to store quick-access items. Some Harley-Davidson® luggage is made of leather. Fine leathers or other natural materials WILL gain "character," such as wrinkles or wear, with age. This is normal. A fine, aged patina and character wrinkles are a sign of the extremely high quality materials used to construct your luggage. The appearance of scars or marks on the leather are a result of using natural leather panels and should not be thought of as an imperfection. 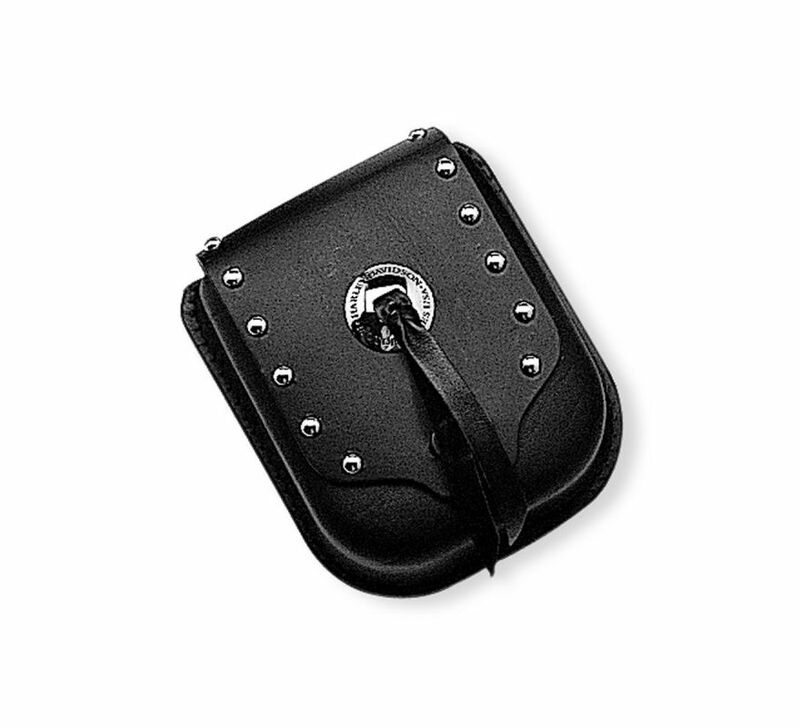 Use Harley-Davidson® Leather Protectant P/N 93600034 to protect your investment. Fits most Harley-Davidson® Medallion/Insert Style Sissy Bar Uprights, Luggage Racks and Pad. Will not fit with Mini, Short, VRSC™, XG, XR or FXSTD Uprights. Will not fit with backrest pad mounted luggage.